The playlist features all of Tracey Ullman's original videos for her seven single releases. I've tried to pick out the best quality videos available, although the choice was very limited for her later hits, so I'm afraid the quality isn't fantastic. Now in her mid 50s, Tracey Ullman is a multi-talented English girl who is a singer, dancer, comedienne, actress, director, screenwriter and author. That's quite a list, but her career started with TV appearances on the British comedy shows A Kick Up The Eighties (in which she co-starred with 80s comedy legend Rik Mayall) and Three Of A Kind which featured comedians Lenny Henry and David Copperfield (not the magician!). For a short while Tracey was a successful pop star, with three of her singles reaching the UK top ten during 1983. In 1987 Tracey emigrated to the U.S. and starred in a whole host of films. Ullman's debut LP was a vibrant album of cover versions featuring a mix of pop, rock and motown. It was commercially successful, reaching #12 here in the British Isles and #34 in the US. However, her follow-up album You Caught Me Out failed to repeat this success, stalling at #92 in the UK album charts during 1984. 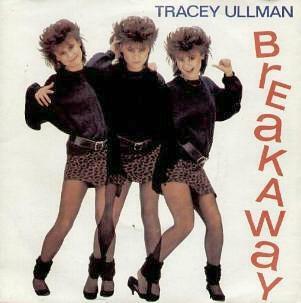 Breakaway was Tracey's first single release on June 1st 1983. The song was originally recorded by the New Orleans soul and gospel singer Irma Thomas as the B-side to her No.17 hit single Wish Someone Would Care. Tracey Ullman's second single, They Don't Know, became her most successful hit reaching No.2 in the UK and No.8 in the U.S. The song was a cover of a song by British singer/songwriter Kirsty MacColl which she recorded in 1979. Kim Wilde also covered the song for her 2010 covers album Snapshots and performed the track at a Kirsty MacColl tribute show in October 2010. 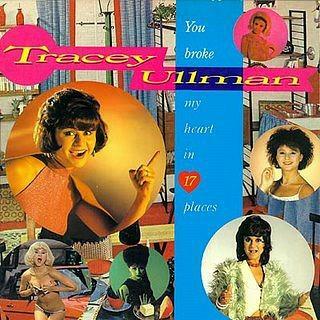 Tracey Ullman released eight singles in the UK in the early to mid 80s. It was taken from the debut album "You Broke My Heart in 17 Places". Her songs had a distinctive 60s sound, but with element's of 80s production techniques. This third single, "Move Over Darling" was a cover of the Doris Day hit, and it was the last top ten hit for Ullman, reaching No.8 in the UK. 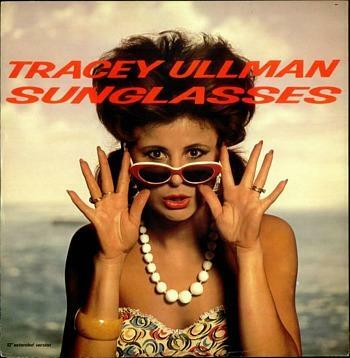 However, Tracey did have two more top thirty hits with My Guy's Mad At Me (a cover of the Madness single My Girl) and Sunglasses. Sadly, the next two singles, Helpless (1984) and Terry (1985) failed to reach the UK Top 40. 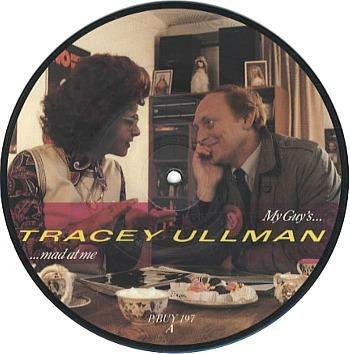 Although the first two singles from Tracey's second covers album were hits, the album itself hardly made a dent in the British album charts, stalling at #92. However, it was more successful in Norway where it reached #11 and Sweden reaching #13. The title track and the single Terry were both covers of Kirsty MacColl tracks. This image features a limited edition 2-track vinyl picture disc (Stiff records) featuring Labour party leader Neil Kinnock, who also appeared in the video for the song. The bass player from Madness, Mark Bedford, played on Tracey Ullman's fourth single, My Guy's Mad At Me, a cover of the Madness single My Girl. The B-side was entitled Thinking Of Running Away - I wonder if that was a reference to Neil Kinnock? The song was released as the lead single from You Caught Me Out. Helpless was the first single release not to break into the UK Top 40, stalling at #61.